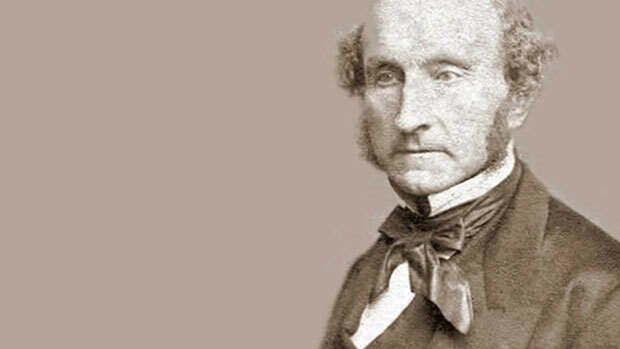 ‘The most influential English-speaking philosopher of the nineteenth century’, John Stuart Mill, was a renowned philosopher, political economist and a civil servant in the East India company. He worked a great deal on morality, logic, philosophy, politics, economy and social issues such as women rights and slavery. Born in London, Mill was educated exceptionally under the watchful gaze of his father. He learnt both Latin and Greek by the age of four, and by 16 he had become a well-trained logician and an economist. At the age of 20, Mill diverted his attention from science, logic and rationality to the aesthetics of poetry and literature. This diversified his fields of study and he persuaded the British society to focus on social, political and economical issues using both scientific knowledge and literary insights. At heart and in his mind resided empiricist views: experience is the mother of all knowledge and nothing can be conceived in the mind when it has not been observed by the senses. In A System of Logic, (1843), Mill presents the explanation of reasoning and logic and how our experiences affect our thinking capabilities. He argues that worldly phenomena can be best explained through the sciences of nature. Our society and all its problems can be tackled through logic, rationality and knowledge gained from experience. He directly attacked the philosophy of intuition throughout System of Logic, a theory followed by William Whewell and Sir William Hamilton. They held the belief that truth and knowledge is gained not by causal laws and observation but by unmediated, divine awareness. In his book Utilitarianism (1861), Mill gave a moral principle regarding pursuit of happiness. This principle aims to provide a decisive factor regarding right and wrong. Mill said that all those actions are right which produce happiness, not only for the doer of the action but also the people around him, and all those actions are wrong which propagates unhappiness among the people. This principle is also known as the ‘greatest-happiness principle’. Mill further contributed to utilitarianism by his argument of qualitative happiness. He said that not all kinds of happiness are equal; higher pleasures constitute moral and intellectual happiness while physical pleasures are deemed lower pleasures by Mill. He also differentiates between satiation and happiness and wittingly puts it in the following statement: “It is better to be a human being dissatisfied than a pig satisfied; better to be Socrates dissatisfied than a fool satisfied”. To the masses, Mill was the renowned author of Principles of Political Economy (1848). In his publication Mill reflects on what the numbers say in an economy and what the public actually wants and appreciates. He held the idea that industrial and economical growth should be given up for the betterment of the environment. He also was a strong advocate of population control in favor of equal provision resources to all human beings. Mill states his ideas of freedom and state intervention in On Liberty (1859) and goes on to say that a state should only interfere with the citizens’ conduct if it is to prevent a greater harm to the public. He was also a champion of human rights and his feminist ideas are put eloquently in The Subjection of Women (1869). All in all, John Stuart Mill’s life and works serve as a role model for tackling human adversaries in an enlightened manner, utilizing both science and arts.